If you wish to repaint your home, the first thing that comes to mind is looking for a painting contractor. However, hiring the best painting contractor in Maryland, Washington DC, isn’t easy. As there are plethora of options available, it makes really difficult for you to pick one. To avoid confusion, there are some criteria that you must consider. This would help you find a professional as per your need and budget. Conduct comparisons- Simply hiring any painting contractor in Washington DC, isn’t enough. You can’t just hire the first professional you meet. You need to conduct thorough comparisons. Pick up two or more contractors. Wondering how to pick? You can check local paint stores, the internet and neighbors or friends. Friends or neighbors will be able to help you with suggestions. Check the license and insurance – Several states require a contractor’s license. So, ensure that you choose a painting contractor owning a proper license. Apart from this, you must also check if they are insured. Established contractors will always provide a certificate of insurance. So, check that carefully. You can also hire professionals who are a member of any local organization. 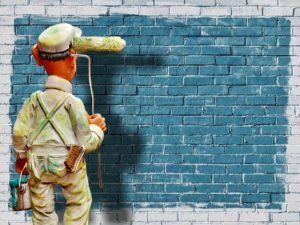 Opt for an interview- When hiring a painting contractor in Maryland, Washington DC, you should conduct a face-to-face interview. Ask him to come to your home for a conversation. This way it would be easy to talk. You can discuss the services he will provide, the cost of service, etc. See how willing he is to help you and answer your queries. Hire the professional based on the answers. The timing involved- Find from the contractor how much time he will take to finish the project. Most importantly, ask him how many professionals will do the task. If you see the time taken is more than what it should be, ask him if he can shorten it. Find about warranty involved- does the contractor you are hiring offer warranty on the services? Simply ask them without assuming. This would help you know if you will get protection after the work’s done. Interestingly, several contractors offer a money back or rework if you are not happy with the painting.